I didn’t have a camera to shoot photos at the event. 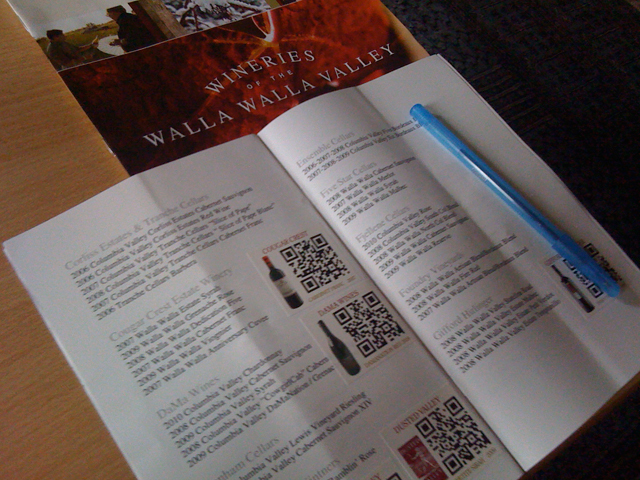 Here is the guide with some of the QR Code stickers every winery was giving out. Here is one of the stickers the wineries were giving out at each table. It has a scannable QR code that takes you to a special website about the wine.